My daughter (who works in child after-care) recently brought to my attention that there is a horrendous ‘momo challenge’ circulating that is hacking children’s online games like Peppa Pig, Fortnite and Youtube. Primary schools are sending out warnings to parents as the craze seems to have arrived in the UK. Some are calling it a hoax, but hoax or not - if your child sees this is will most definitely be disturbing and potentially dangerous. I was horrified when I saw the video! It promotes self-harm, inflicting harm on others and even suicide in a series of threats to the viewer who has to ‘complete certain tasks otherwise momo will come and hurt them or their families’. The visual guides are extremely real and graphic. 2 thoughts instantly. What is becoming of our world that someone out there takes the time to come up with material like this; and our children are so vulnerable. 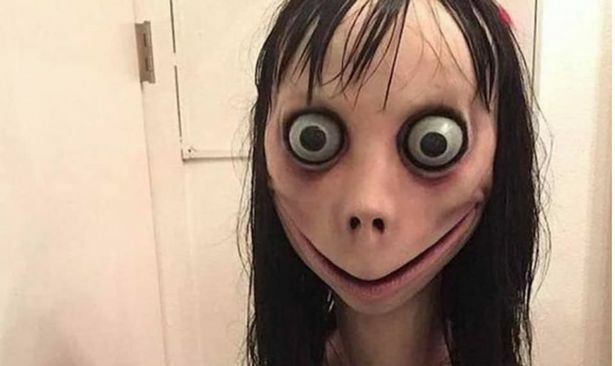 Although the BBC News reported that ‘The UK Safer Internet Centre told the Guardian that it was "fake news", there are still unofficial copies with footage of "momo" that have been copied so children could end up seeing these unofficial uploads and be exposed to the distressing images’. Knowledge is key and it’s important to know what your children may see. If you have not heard about this and you have younger or potentially vulnerable children, please do a bit of investigating. Then - most importantly - make sure your children know how dangerous this hack is. TALK TO YOUR CHILDREN. Help them to understand how to say NO to things that don’t sound or feel right. 1) Say it with confidence: Be assertive. It’s your choice and you don’t have to do something which makes you feel unsafe or uncomfortable. 2) Try not to judge them: By respecting their choices, they should respect yours. 3) Spend time with friends who can say ‘no’: It takes confidence and courage to say no to your friends. Spend time with other friends who also aren’t taking part. 4) Suggest something else to do: If you don’t feel comfortable doing what your friends are doing, suggest something else to do. they can also control how long and when they’re online, plus stop them downloading apps. I don’t want to advertise the momo site here - but google it or look at it on youtube so you know what your child may be exposed to. It’s our responsibility to safeguard our children. Find out what you need to know and get it done. The gaming that a lot of our kids do has been worrying me for a long time. As always there are different views, mainly from the gaming industry who happily dispute any problems that are associated with them and their games. To me it is common sense that allowing young children access to games that are 'suitable' for 15 and 18+ will have an impact. There is a reason that these age restriction are in place. Having said that, there is a serious addiction problem with adults too so be aware that as parents, we are our kids role models!!! It may interfere with sleep. Getting enough sleep can be challenging enough for busy kids. They often have homework and after-school activities crammed into their weekdays and extracurricular activities and sports on weekends. Sleep deprivation is one of the main concerns we are tackling today. Mental health problems are closely connected to this. It may cut into family time or personal interaction. When we are using technology such as computers, games, and TV, we are not interacting with one another. Since finding good quality time can be difficult for many families, allowing technology to cut into those moments is something parents may want to prevent as much as possible. While it can be fun to have a family movie night or play a video game together, the fact is that screen time means less face-to-face interaction time. It may encourage short attention span. Studies have shown that too much screen time may be associated with attention problems. Video games were the primary focus though the researchers do state that any electronic media may have similar effects. It may interfere with schoolwork. Children who watch a lot of TV are more likely to have lower grades and read fewer books. Further, research has shown that cutting down kids' screen time may improve kids' health and grades. It may lead to less physical activity. More screen time has been associated with reduced physical activity and a higher risk of obesity in kids. It may expose kids to too much advertising and inappropriate content. Many television shows and commercials depict sexuality and violence as well as stereotypes or drug and alcohol use. Many commercials also promote junk food and toys in powerful and alluring ways that are designed to get kids to want these items. Admittedly, it is easy to simply turn on the TV or let your kids play a video game when they complain about being bored. However, there are many options when it comes to finding alternative forms of entertainment. Letting kids use technology with limits can be achieved if you keep some of these key tips in mind. Do not put a TV in your child’s room. Having a TV in the bedroom has been linked to a number of problems including lower test scores, sleeping problems, and obesity. Turn it off. When the kids are not watching a specific program, turn off the television. Keep it off during mealtimes and especially when they are studying or doing homework. Help your child choose a video game or a show. The best way to know what your child is watching or playing is by helping her pick out a show or a game. When picking out a family film or game, read the reviews, watch previews, or ask other parents. Above all, know your child and trust your own instincts on what is appropriate. Limit his screen time. Whether it’s one hour of TV and video games a day or a couple of hours a week, limit the amount of time your child spends with technology. More importantly, be committed and stick to those times you set. I know there is a lot of pressure on parents in today's society but we do have a choice to have kids or not. We have to look out and do the best we can, who else will? Enjoy each others company, go out in nature, play games without screens, cook, sing and create! Half Term & Screen Time…. It’s half term and a chance for everyone to have a break from the school routine. But for many parents, this comes with concerns and frustrations over how much time their children will spend on screens. And, dare we say it, how easy it is to use the television, ipad or phone as a babysitter. So, how much screen time is acceptable or how do you control your children’s technology use? Think about how you taught your children about safety in other areas of their lives. The hot water tap? The swimming pool? The busy road? Did you just ‘ban’ them from using it – or did you teach them why it was dangerous and how to be safe? In this same way you can’t simply try to control what they do with technology. You have to teach them responsibility and safety so that they own their own behaviour. We do this through connecting with them, keeping communication lines open and being the parent (not the friend). Think about how you feel when someone just says ‘no’ to you with no real reason. It just makes you angry and want it even more. If you just blanket rules, your children will fight back to keep control of this part of their lives. It may work in the short term to get them off the device but won’t bring the desired long term result of responsibility and self-control. Keep within the law. Don’t let under-age children play age restricted games or sign up to social platforms underage. Follow the rule of law. And no - all their friends don’t play them! A trick here is to teach delayed gratification. Teach your child patience and reward for that patience. Everything doesn’t have to be now. If they can learn to wait and receive the reward (ie screen time) later, they will learn a lot. Follow through. Don’t renegade on agreed deadlines or rewards. Don’t forget or delay again. Be positive. When they do manage their screen time and behaviour according to your agreed plan – reward them with positive feedback, acknowledgement and affirmation. And remember – lead by example. Practise what you preach. Above all – they will COPY YOU – not listen to you! Screen or not or what? Most of us know that kids love looking at screens. What most of might not know is the actual impact it has on them. A study from 2015 said that British children between 5-16 spend an average of 6.5 hours a day looking at screens!! That is up from 3 hours in 1995. Is this too much? Can this be addictive? What makes screens so enticing, not only to kids but us adults too? With todays technology being so accessible, it is even harder to avoid our children's demands to watch a cartoon or play a game. This lack of natural breaks has led to many children not having what is called 'stopping rules'. They used to exist and we learned to wait and look forward to the next episode of the favourite show or even wait for your turn at a game console. These breaks are now disappearing as everything around us is becoming 24/7 and impatience is growing. When children learn that they can us their devices as soon as they are bored, have spare time or are unsure of what to do next, it can become dangerous. It's all about feedback. Children learn by misbehaving to see what their parents think, push buttons to discover what happens. Their devices however give feedback straight away! No need to wait, instant rewards. Interaction with other children, reading other children's reactions and body language can not be taught on a device. This requires play and being without devices. Please allow our children to be children in the real world and not the virtual world! Everything as always within reason. Technology is here to stay but how much our children use it is up to us. We are their parents and more importantly their role models! !